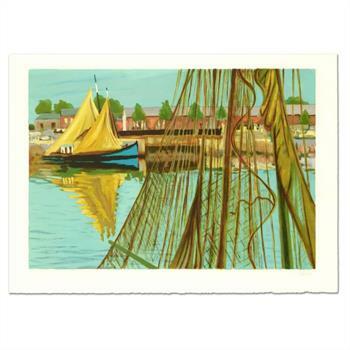 Laurent Marcel Salinas (1913-2010), "Sailboat" Ltd Ed Serigraph, Numbered and Hand Signed with Letter of Authentication. "Sailboat" is a limited edition serigraph on paper by Laurent Marcel Salinas (1913-2010), numbered and hand signed by the artist. Includes Letter of Authenticity. Measures approx. 30" x 21" (border), 26" x 18" (image). Salinas spent his early adult years between France and Egypt. He exhibited frequently at the Alexandria Atelier alongside Egyptian artists such as Mahmud Said and Muhammad Nagi. Following the 1952 revolution and the Suez Canal crisis, life became increasingly difficult for foreigners residing in Egypt and many of them were expelled and their assets seized. Marcel’s mother and stepfather, like many others, left the country. Those who knew him well remember him as an astute and compelling critic, always ready to pause in front of a painting and discuss at great length the visual choices made by the artist. 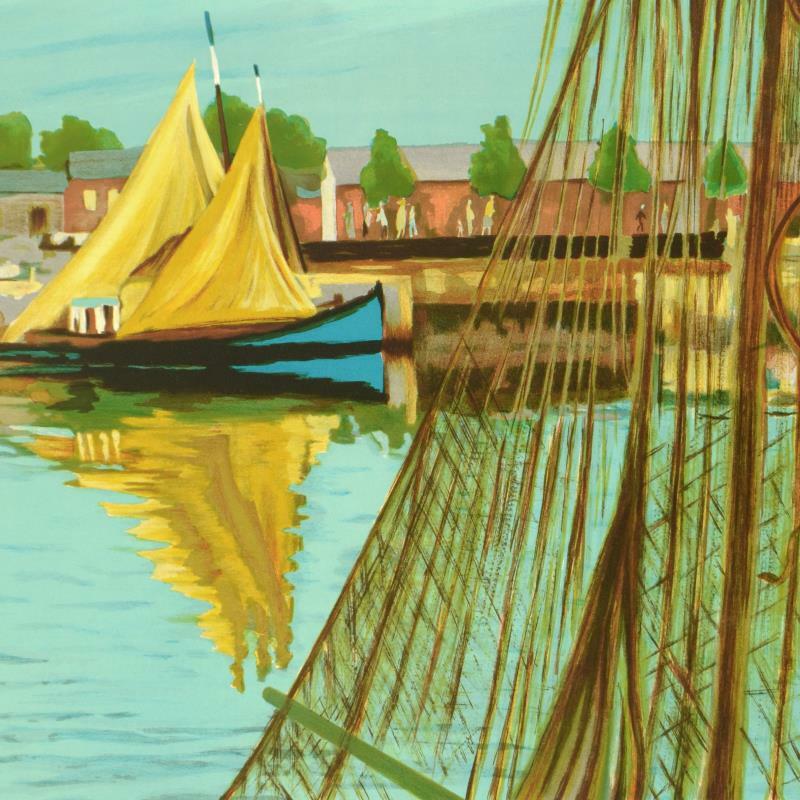 It seems that Salinas was simply enamored with painting, old and new. To him, the same basic principles continued to hold true throughout the ages: painting was about form, color, and technique. It required hard work and hard looking.